WEREWOLF RECORDS, in conspiracy with HELLS HEADBANGERS, is proud to present a special compilation from the infamous SATANIC WARMASTER: We Are The Worms That Crawl On The Broken Wings Of An Angel. Parenthetically titled A Compendium of Past Crimes, We Are The Worms That Crawl On The Broken Wings Of An Angel compiles the prolific Finnish black metal legends' tracks from myriad split releases, and shall be presented on jewel-case CD, A5 digipak, and double-LP vinyl formats. By now, SATANIC WARMASTER need no introduction. For nearly 20 years now, mainman Werwolf has come to shape and define Finnish black metal in the new millennium. 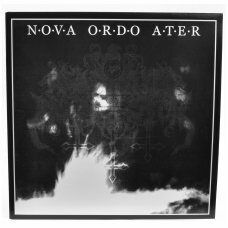 Although each of his five full-lengths mark a distinct moment in time - and each time, simultaneously solidifying the paradigm of pure underground black metal, both in Finland and abroad - it is SATANIC WARMASTER's seemingly countless split releases that have kept up the spiritual warfare so crucial to his undying, unyielding aesthetic. As such, the burning times of the early-to-mid 2000s are well and truly represented on We Are The Worms That Crawl On The Broken Wings Of An Angel, encompassing a near-exhaustive totality of 16 tracks across 76 grim 'n' miserable minutes. From trance-inducing fury to anthemic death-march to nostalgic melancholy for a lost age, We Are The Worms That Crawl On The Broken Wings Of An Angel is an endlessly compelling time-capsule, crucial for both diehards of the band as well as those who prize black metal purity.